In conjunction with preparations for the Sept. 15-17 NHRA Carolina Nationals, Charlotte Motor Speedway will open its Rock City Campground beginning at 7 a.m. Friday morning for evacuees heading north or inland from Hurricane Irma. With severe weather in the forecast for other southeastern states, accommodations will be available as long as possible prior to potential landfall. Evacuees should access Rock City Campground off Bruton Smith Boulevard through Entrance Z and will have access to bathhouse facilities on speedway property. "We are happy to open our doors to help those needing a place to seek shelter during this difficult time," said Greg Walter, the executive vice president of Charlotte Motor Speedway. "We look forward to show them the hospitality for which we're known and they deserve. We are fortunate to have camping available to accommodate both hurricane evacuees and the drag racing fans who will join us next week." 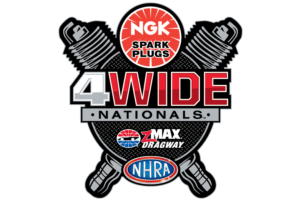 Fans from 39 states and 11 foreign countries will attend the Sept. 15-17 NHRA Carolina Nationals. Evacuees are asked to check in at the ticket office on the second floor of Smith Tower at the speedway's main entrance, starting as early as Friday morning. After-hour arrivals will be handled by Charlotte Motor Speedway security. Tickets to upcoming speedway events, camping and upgrade packages are available by visiting charlottemotorspeedway.com/tickets or calling 1-800-455-FANS (3267). Keep track of all the latest news and events at Charlotte Motor Speedway by following on Twitter and Instagram or become a Facebook fan. Keep up with all the latest news and information with the Charlotte Motor Speedway mobile app.